Science, technology, engineering and mathematics companies and institutions are beginning to realize that increasing their workforces’ diversity can really get results. A 16-year study examining companies on Standard & Poor’s Composite 1500 list found that firms with women in top leadership roles saw a $42 million increase in value. Other studies, like one conducted by researchers at the University of Texas at Dallas that looked at the banking industry, have linked financial performance to racial diversity. With up to half of the workforce in fields like engineering and advance manufacturing approaching retirement, diversifying recruiting pipelines has become a necessity. To that end, numerous STEM fields are tackling inclusiveness with problem-solving ingenuity. Here are just a few. Nonprofits and universities are intent on bringing more women into a field that’s 85 percent male. Organizations like Girl Develop It offer classes and seminars for women interested in computer sciences. In Seattle, Ada Developers Academy offers tuition-free training for women. Big names like Facebook and Google have taken notice and are hiring more female programmers. Along with other Silicon Valley firms, they’ve also stepped up their recruitment of African American programmers from schools like Howard University. Women and minority architects have made great strides since 40 years ago, when both groups made up less than one percent of working architects. But leaders in the field know they still have a long way to go. “We must be a mirror of the rich human tapestry we serve,” wrote Elizabeth Chu Richter, president of the American Institute of Architects, in a diversity report published earlier this year. Data shows that the percentage of graduates from underrepresented groups is steadily increasing, largely due to the efforts of colleges like the University of Texas, which just established a diversity program, and the Massachusetts Institute of Technology, which says it is “aggressively” recruiting female and minority undergraduates in architecture. Complex health concerns like the Zika virus, antibiotic resistance, and foodborne pathogens require a large and diverse workforce of microbiologists. 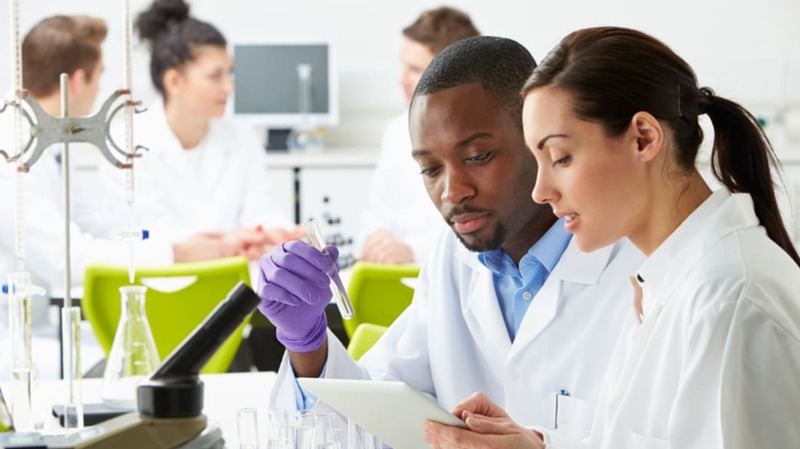 To encourage minority enrollment in the field, the American Society for Microbiology runs an online mentoring program that pairs students with professionals working in the field. The ASM complements that initiative with a collection of fellowships, committees and an annual conference for minority students. Universities are doing their part, too, with scholarships and advocacy groups at institutions like Brown University and the University of Wisconsin-Madison. More than 40 percent of statistics degrees go to women, who also make up 40 percent of tenure-track professors at U.S. colleges. This hard-won progress springs from many factors, a big one being the influence of the American Statistical Association, the largest professional organization for statisticians. The group welcomed its first female president, Gertrude Cox, back in 1956, and five of its last 10 presidents have been women. The ASA runs educational campaigns aimed at school-age children, and has also established committees dedicated to informing and encouraging women and minority students. To help bring more African American and Latino students into the field, the ASA’s Committee on Minorities in Statistics hosts a workshop and mentoring program every year in concert with the ASA’s annual meeting. With women comprising 60% of accountants and auditors in the U.S., institutions in this field have already made savvy moves to increase diversity. There is a robust lineup of organizations dedicated to supporting female as well as Asian, Hispanic and African American accountants. The American Institute of Certified Public Accountants offers several diversity-focused programs, including a monthly “Diversity & Inclusion” webcast that features thought leaders within the CPA field. On the business side, mega firm Ernst & Young has been one of DiversityInc magazine’s 50 most diverse companies thirteen years in a row, while Deloitte, another leading firm, recently published a business study championing diversity. Mechanical engineering leaders are keen on shedding the field’s macho image. That mission starts with encouraging girls’ interest in the field before they reach college. Organizations like Engineer Girl and the Society of Women Engineers have taken the lead with education and outreach programs. Schools like Mississippi State have made diversity a priority with special programs that encourage mentoring and networking amongst African American engineering students, while other schools have increased scholarship funding specifically for minority students interested in mechanical engineering. Celebrated astronomer Neil deGrasse Tyson has spoken at length about the barriers that minorities face in studying and securing jobs in astronomy. The numbers bear this out: 90 percent of astronomers are white, while only one percent are black, and another one percent Latino. As sobering as these statistics are, leaders in the field have begun to take action. Last year, the American Astronomical Society held its first ever Inclusive Astronomy summit. The results went beyond vague commitments and included specific recommendations, like a reduced emphasis on the Graduate Record Examinations (GRE) in admitting students to astronomy programs—a known barrier to entry that doesn’t typically indicate a graduate’s success. Organizations like the Banneker Institute, which offers a tuition-free summer intensive at Harvard University to aspiring black and Latino astronomers, are further diversifying the field that seeks to better understand our universe. Despite a rich history of women cartographers dating back to the 10th century, the profession has been male-dominated for decades. Recent surveys show that only 30 percent of working cartographers are women, with Latinos and African Americans making up less than half that amount. As mapmaking goes digital, however, more and more women and minorities are entering the field. Geraldine Sarmiento, a former Apple employee renowned for her work on open-source maps, and Gretchen Peterson, who runs the popular blog “Cartographer’s Toolkit,” are rising stars in the industry. The International Cartographic Association, for its part, has been mapping diversity within the field for years, while schools and organizations like the American Association of Geographers are offering scholarships for women and minorities interesting in mapmaking.